Happy Easter weekend everyone. I hope you’re having a relaxing time of it. 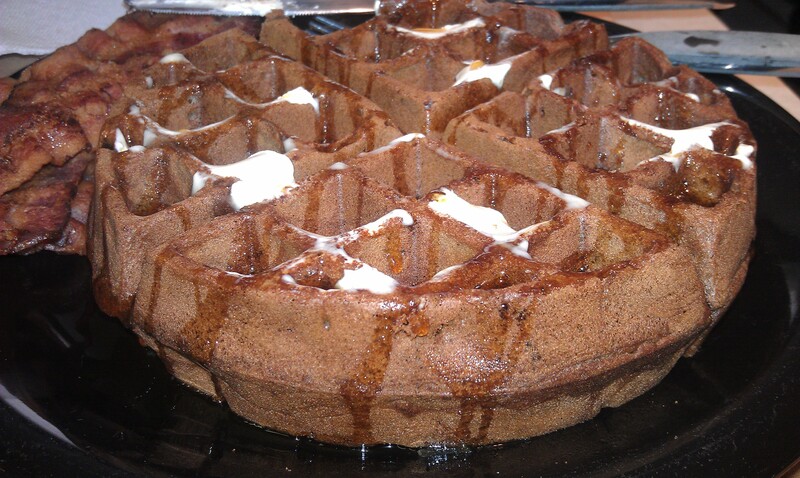 If you’re still planning for brunch tomorrow, you may want to add these chocolate beer waffles to your menu. Of course, I am using Hardywood Mocha Belgique but feel free to use your favorite porter or stout instead. Combine wet ingredients into small bowl. Add wet to dry ingredients and whisk to combine but do not over mix. Heat Waffle iron. Cook waffles according to iron instruction. You can still get Mocha Belgique at Hardywood’s tasting room. Go fill a growler today and you will be very happy tomorrow.